One of things I have always said that I love about India is that anything seems possible. Two years ago when I was leaving my job in a bank, if someone had told me I would be earning a living as a freelance consultant and writer, and setting up a couple of start-up businesses of my own, I would never have believed them. In a country with so much bureaucracy, for some reason, going out on my own doesn’t seem like something impossible. 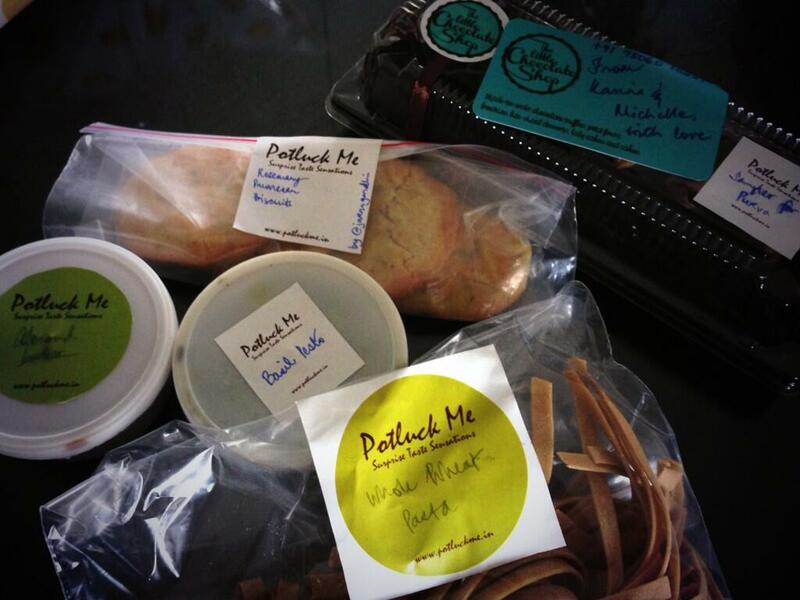 Last week marked the launch of one of my business ventures; Potluck Me. Potluck Me is a gourmet food shop that operates just like a pop-up shop, so it only opens occasionally, but it is also only available online. We focus on freshly made, preservative free food that is hard to find in Mumbai. For example I made pesto and pasta, my business partner created some fabulous nut butters and we crowd-sourced product from other local businesses that made products that fitted with our USP. The concept was formed several months ago over dinner with some girlfriends, and my business partner and I took it forward. In the past few weeks we have been pulling the business together, and it always fascinates me how the things I think are going to be the hardest part of doing business in India prove to be the easiest. For example, we needed to get some stickers printed so that we could put them on our packaging. We had a design that a friend had kindly made for us, but doubted whether one of the local printers would be able to arrange the printing for us. I armed myself with the design and my best hindi and wandered down to our local xerox place and apprehensively asked for stickers. The young boy behind the desk called me inside, another took my USB and swiftly arranged my design into a sheet of 15 and pressed print. Voila! On the flipside, we anticipated it wouldn’t be too hard to find a weighing scale, after all every shop on every street corner has one in India. How wrong were we? After searching high and low, we finally found a weighing scale in one small corner shop in the busy suburb of Dadar. It just goes to show that you can never quite predict which way something will go in India. What we did know, was that the products we were selling were great. Thankfully our customers have felt the same way. So Potluck Me has got off to a great start, and we have received some really constructive feedback as well. like any start-up business, the learning curve is huge but so far it has been a fun ride. We are already planning for our next store and looking forward to trying out some of the suggestions we have received from our customers. I don’t know where this venture may lead, but I do know that it is exhilarating to start something from scratch, the unknown just adds to the joy. This is one of the reasons I will stay in India, because I am not sure I could do something like this anywhere else. Sounds like a really good idea. Like ebay for locally sourced food. At the moment, you operate only in Mumbai, I presume? Lot’s of people in India are looking for places to buy this kind of food-no preservatives and freshly made. All the best with your business venture and I hope there are no problem with service tax. I hear that can be tricky. Thanks, and yes it is based just out of Mumbai for now at least. Wish you all the best for new venture !!! What a great business idea Rakhee. Em is currently setting up a dog minding, walking & behavioural training business in Sydney, so we understand the learning curve, etc. Best of luck to you both. Thanks Leonie, it is a huge learning curve but it’s all good.